Too often accounts of African family life have tended to describe the family in purely static terms. The contributors to this book emphasize the developmental or time dimension of the family, analysing it as a process. 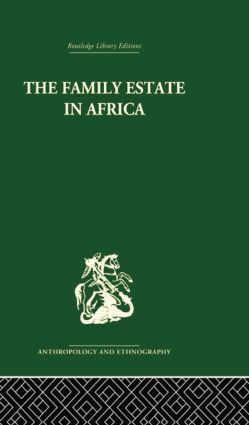 In the seven different societies described in East Africa, the Congo and the Transvaal the changing nature of the distribution of rights in the family property and resources is directly linked with the growth and change of the family itself.